There’s a reason why America invented tail fins and chrome trim. Like certain stereotypical characterizations of the people who inhabit this great country, American automotive design has been bold and brash since the term “styling” was first coined. Things are different in Europe, though. It’s hard to believe that the businessman’s sedan bodywork of a BMW M5 conceals a 560 horsepower V8, or that many modern Range Rovers are packing supercharged Jaguar engines. That’s because, Italy aside, subtlety and performance go hand in hand in European cars. Enter the tuners. These aftermarket companies, some of which are recognized as vehicle manufacturers by their respective countries’ governments, push the limits of performance and (in some cases) taste. They build cars the OEMs don’t by dialing up the performance and styling, or making something that’s just plain different. Ruf Automobile started out as a gas station, but by the 1980s it was building Porsche-based cars like the CTR, the “Yellowbird” of Gran Turismo fame. Ruf still manages the near-impossible task of improving on the factory’s work (the current 911-based RT 12 R has 730 hp) but it also builds Porsches that Porsche doesn’t want to build. Fancy a V8 911? Ruf has you covered with the RGT-8. How about a modern 911 with a retro 1970s targa roof? The Ruf Roadster is the car for you. RUF even beat Porsche to the punch by turbocharging the new 991 911; the Rt 35th Anniversary is the only 991 turbo buyers will have for a while. Ruf also used its car building skills to make its own supercar. Granted, the CTR 3 uses a lot of Porsche components (including a 3.8-liter flat-six), and looks a bit like a Porsche Chimera. Still, it does 0 to 60 mph in 3.2 seconds, and can reach a top speed of 236 mph. Mercedes-Benz already has an in-house tuner, AMG, but Brabus makes those tire-smoking monsters seem normal by comparison. AMG takes stock Mercedes cars and drops in big engines. Brabus does the same thing, but with bigger engines. Mercedes sells the C63 AMG with a 6.3-liter V8, but Brabus has the Bullit, a C-Class with a 720 hp, 6.3-liter twin-turbocharged V12. There’s also the Rocket, a CLS with 789 hp that can do 0 to 62 mph (0 to 100 kph) in 3.7 seconds. 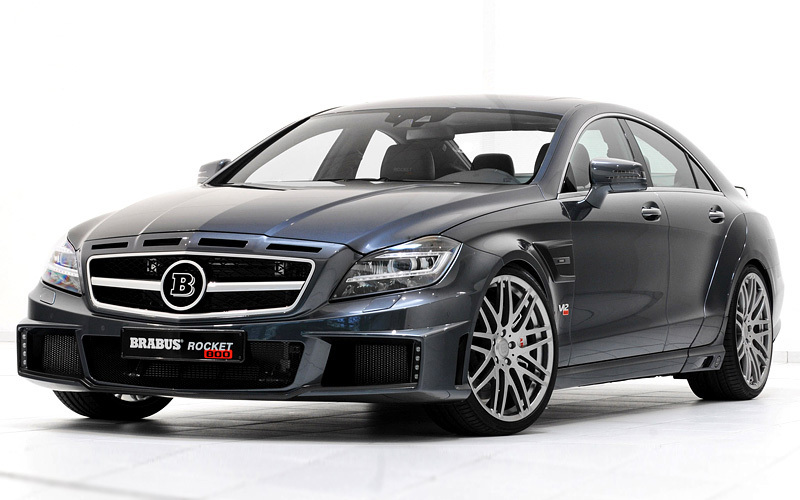 In fact, Brabus can add a bit of spice to any Mercedes dish, from the SLS AMG coupe to the seven-passenger GL. That includes (discontinued) Maybach and Smart: the fortwo-based ultimate 120 has 118 hp, a major improvement over the stock Smart fortwo’s 70 hp. While most tuners try to make cars more extreme, Alpina does the opposite. Its mission is to build cars that are every bit as sporty as BMW’s M models, but with a more civilized character. Until recently, turbochargers and automatic transmissions were forbidden at M, so Alpina found a niche using these parts to make more refined performance cars. The difference is apparent in the B3 GT3. This souped-up 3 Series went around the Nürburgring as quickly (7:49) as the BMW M3 GTS, but it does speed in a completely different way. The M3 GTS has a 4.0-liter V8 and an aggressive bodykit, but the B3 GT3 has a turbocharged 3.0-liter straight-six and a basic automatic. Its bodywork and Alpina-specific wheels are also a bit more subtle. That’s why Alpina is best known for the B7, the performance version of the 7 Series that BMW sells in lieu of an M7. M is for Motorsport, after all, not luxury. Restraint is good, but it’s not for everyone. Gemballa prefers to make its cars’ styling match their extreme performance. In fact, everything about Gemballa is extreme. 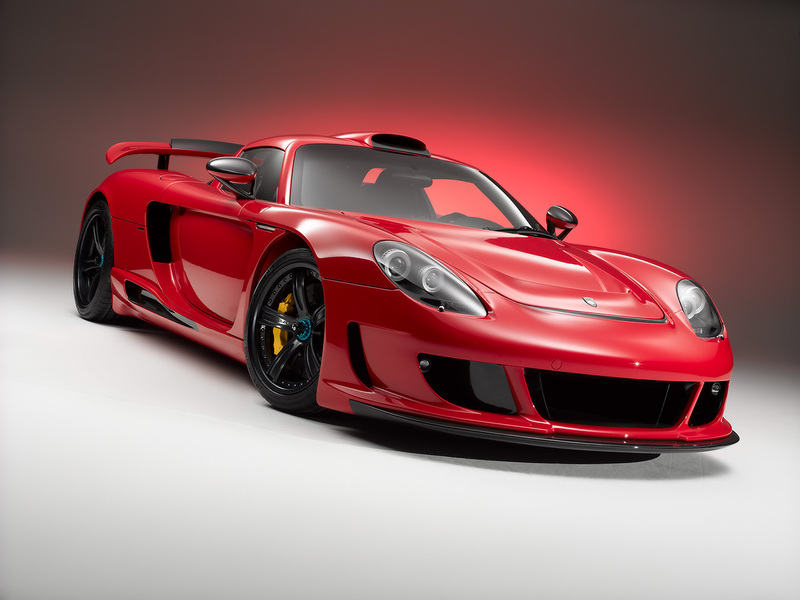 Most people wouldn’t think of a supercar like the Porsche Carrera GT as a candidate for tuning, but Gemballa thought it could improve Porsche’s finest. The Mirage GT sports 650 hp (up from the stock Carrera GT’s 612 hp) and a body kit that will definitely attract attention. Whether that attention will be positive or negative depends on people’s tastes. The same is true of the Panamera-based Mistrale, although it’s hard to argue with a twin-turbocharged V8 that produces 721 hp in Stage 2 tune. This British tuner was building high performance SUVs before anyone at Porsche uttered the word “Cayenne.” Overfinch’s weapon of choice is the Range Rover, and over the years it has stuffed everything from an Australian Leyland V8 to a Jaguar V12 under the Landy’s bonnet. Today, Overfinch can improve the big Range Rover, as well as the Range Rover Sport, Evoque, and Land Rover Defender. The new Sport-based GTS-X has a 5.0-liter supercharged V8 and 575 hp. 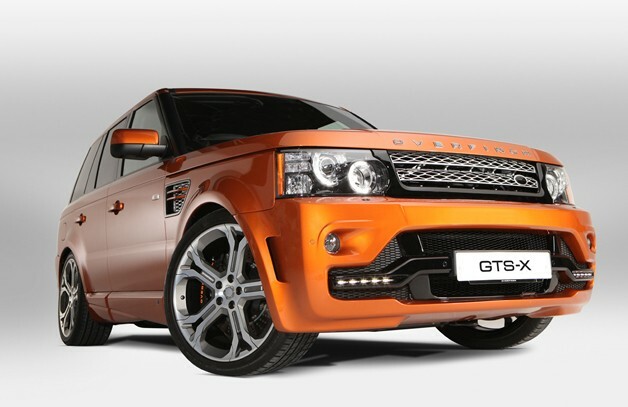 In 2009, Overfinch also collaborated with gunmaker Holland & Holland to make a very unique vehicle. This modified Range Rover included a gun and liquor cabinet, with a custom shotgun and free refills on the drinks for the first year of ownership. For a completely different take on Land Rover performance, there’s also Bowler. Land Rovers are known for their off-road prowess, so why not make them go off-road, but faster? It’s hard to tell that the Bowler Wildcat and Nemesis are based on the Land Rover Defender and Range Rover Sport, respectively, and that shows the extent of the modifications. Bowler’s current lineup includes the EXR and the EXR S, features the Range Rover Sport’s 5.0-liter supercharged V8, with a massive 550 hp. Sixty-two miles per hour happens in 4.2 seconds, and fully independent suspension with 285 mm of travel ensures the EXR S can keep going on any terrain. It’s the perfect vehicle for tackling the Dakar Rally. Polestar’s souped-up Volvos defy all expectations. Painted bright blue and based on years of experience in Swedish Touring Car racing, these cars are the opposite of staid, safety-obsessed Volvo’s stock products. It started with the C30 Polestar, an all-wheel drive version of Volvo’s compact hatchback boasting 415 hp. Earlier this year, Polestar applied the same treatment to an S60, and created quite a monster. The S60 Polestar’s turbocharged inline-six produces 508 hp, more than a BMW M3’s V8, and can reach a top speed of over 180 mph. A modified version of the stock S60’s Haldex all-wheel drive system and performance suspension bits from Öhlins help keep things under control. Both Polestar Volvos are officially considered “concepts” and, despite the hordes of car enthusiasts clamoring to buy them, they probably won’t get built. The closest most will ever get to a street-legal Swedish Touring Car is the limited-edition, 250 hp C30 Polestar released in 2012. The company also sells performance parts for the C70 and XC60 through Volvo dealers.